THE next generation of leaders had a chance to learn from the current crop at Calliope earlier this week. 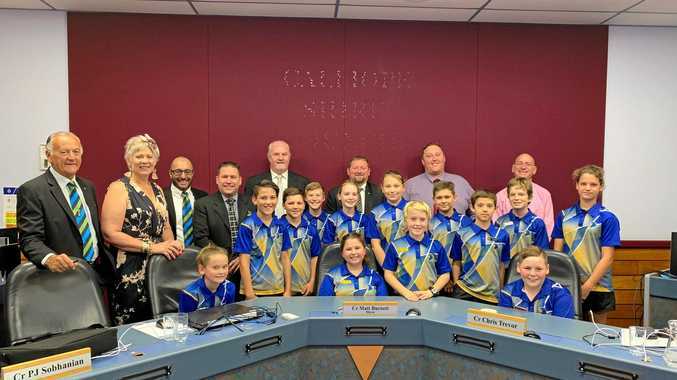 Year 6 students from Calliope State School had the opportunity to meet and ask questions of Gladstone Region councillors at their meeting at Calliope. 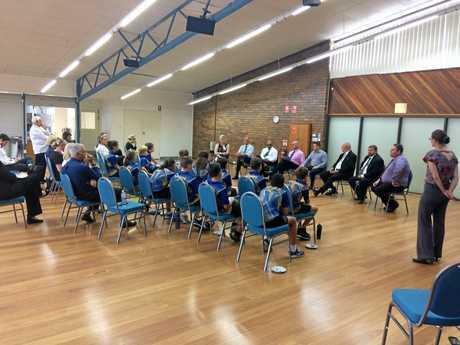 The 13 students, who were invited to the question and answer session by Gladstone Regional Council, heard that councillors came from diverse backgrounds including hairdressing, policing, trade work and formal education. Gladstone Region Mayor Matt Burnett said it was a great way to engage with the region's future leaders. "It's an awesome way for the students to gain insight into what we as a council do for the region," Cr Burnett said. "It's also a great way for us to engage with the younger members of our community. "My team all have varying backgrounds, which I believe highlights to students that anyone can become a member of council if they put their mind to it." 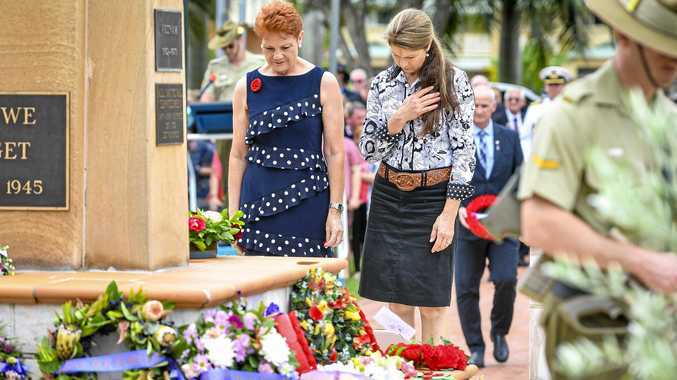 Calliope State School deputy principal Rebecca Crapp said the session proved to be a valuable one for her students. "I thought it was really impressive the answers they gave about the types of jobs that they've done before they were councillors," she said. "Kids need to know that you don't start at the top of every job - you've got to work your way up so it was nice to listen to their backgrounds." Cr PJ Sobhanian was impressed with the questions raised by the students, which covered a range of topics including leadership and dealing with conflict. "It was terrific having the school kids join us at Calliope. We have some very bright children as evidence by the questions they asked," he said. "One of those questions was on values of leadership and isn't it great at that age our children are so community minded that they want to learn about leadership and what it takes to be a good leader." Gladstone Region deputy mayor Chris Trevor said was happy to share his experiences in council with the young leaders. "Being a leader is about giving back to the community," Cr Trevor said. "It provides us, as Councillors, the opportunity to be a part of the decisions that effect our home."